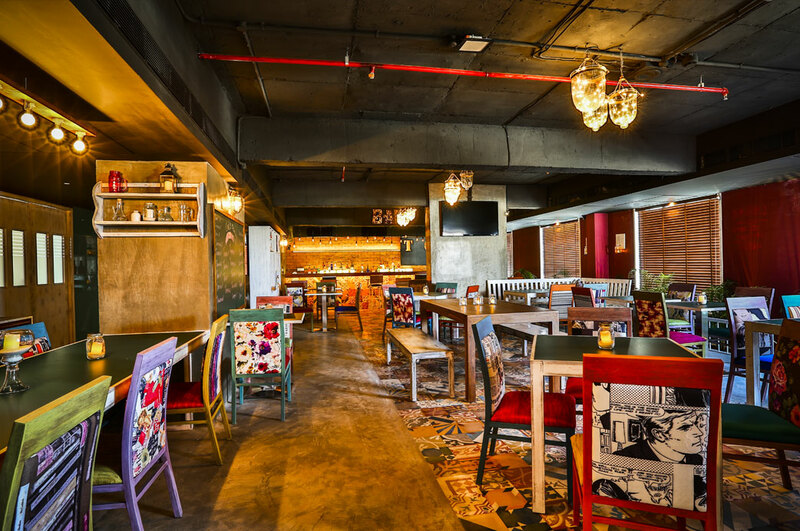 This contemporary and international Bistro and Bar at T24 Residency occupies the entire 8th floor of the building, and serves you delicacies appropriate for Breakfast to Bar. 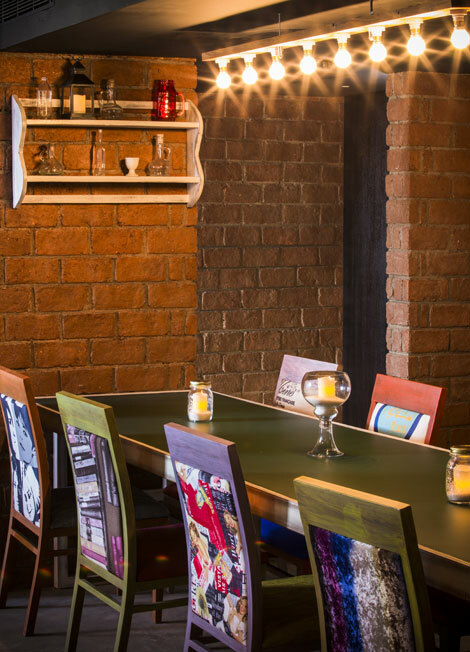 The restaurant features quaint and industrial-chic architectural style, combining elements of retro-styling and modern urban accents to provide an idyllic cafe setting. You can begin your day with a Gourmet artisan breakfast, or leisurely sip on perfectly constructed beverages at its expansive 21-foot long Bar. Toast is open for breakfast, lunch and dinner, providing a unique dining experience with popular international and ethnic Indian cuisine. Choose from a range of fresh home-made pastas, sizzling seafood specialties, besides an enticing array of vegetarian dishes and our very own, famous, T24 slate platter. You will find each dish, excellently paired with the ideal wine or cocktail, with our friendly chef and bar-tenders more than happy to attend to your needs, making each meal a special one. T24 has an exclusive offer for in-house guests, with a complimentary beverage and cocktail tasting session from 1800 to 1930 hours on weekends. We invite you to participate with our helpful bar-man in attendance, to taste and check innovative new cocktail recipes or even suggest any recipe of your own. Guests will find the invitation at the top of that evenings-menu display with their name on it. 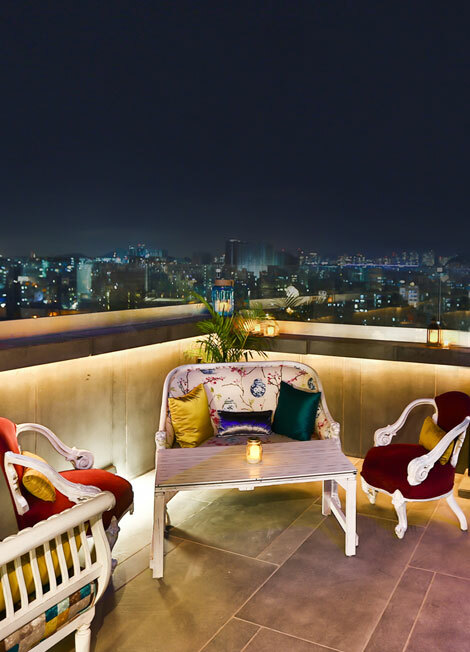 Our rooftop bar – TBD offers you a marvelous vista of Mumbai Airport, with its brilliant lights and a panoramic view of the surrounding suburbs. Located 115 feet high, this open-air lounge has an atmosphere of chic-comfort under an endless ceiling of sky and stars, providing a haven for relaxation and unwinding. TBD welcomes guests all through the year, including the famous Indian monsoon season. Catch the Mumbai thunderstorms, even as you sip delightful cocktails, under a protective canopy and windscreen to shelter from the rain. We have an extended Sunset Happy Hour menu that offers guests "two for one" on all beers and cocktails. Adding to the ambience is foot-tapping music comprising of upbeat jazz, funk, house, club, as well as a unique twist on classic hits from the '80s and '90s.